This case study is designed to integrate important aspects of the nervous and muscular system portions of an anatomy and physiology course. 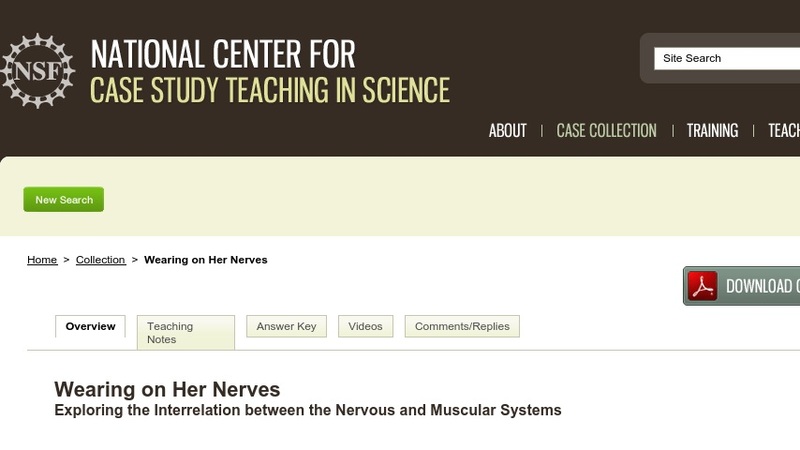 Students follow the story of “Kathy,” whose symptoms involve both sensory and motor components of the nervous system. The students must recognize the key factors of nerve transmission, examine where there could be interruption, and recognize how the interruption would affect body function. They also need to identify the role that the nervous system plays in muscular function. Through the case, students explore the relationship between both body systems, consider how one affects the other, and discover how function can be affected by external factors.